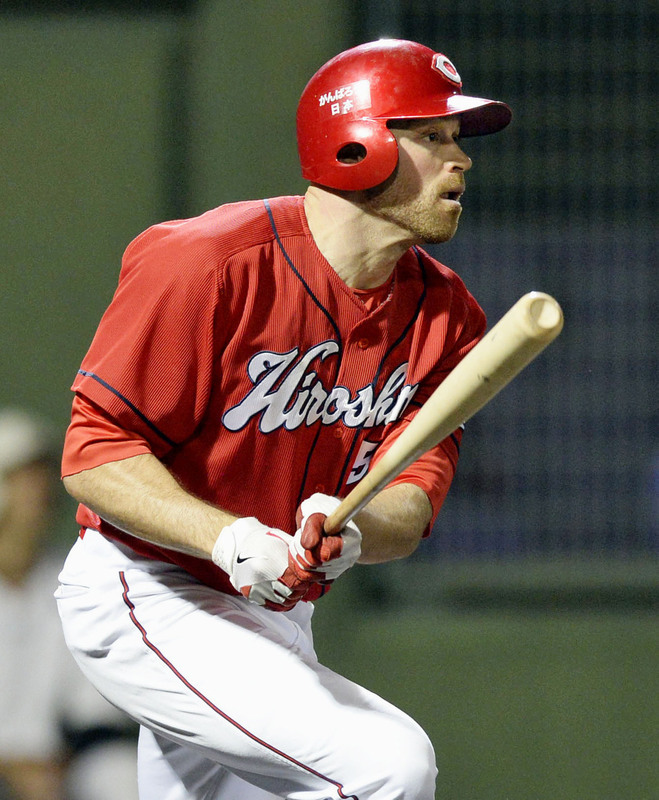 There wasn’t much time for Nate Schierholtz to really prepare himself for Japanese baseball. He’d opted out of his deal with the Texas Rangers on March 28. By April 19, he was already on the other side of the world in a red No. 57 jersey and hitting third for the Hiroshima Carp. “It happened really quick,” Schierholtz told The Japan Times before an interleague game last week at Seibu Prince Dome. “From leaving the Rangers, to talking to Scott McClain, who helped me get over here, it was only a couple of days. I didn’t have a whole lot of time to talk to a lot of guys (about Japan). I talked to Casey McGehee and a few other guys who had been over here, and kind of knew there was going to be a little more off-speed thrown here. You can’t really expect any pitch in any count. Schierholtz is batting .259 with six homers and 18 RBIs through 31 games. His average might’ve been better with more time to adjust. Joining an NPB team midseason is a big change for first-time foreign players. Schierholtz was no different. He had an RBI single in his debut, but hit just .100 in his first month. He’s picked it up in a big way since getting his feet under him a little more, hitting .314 with all six of his homers and 17 RBIs since May 17. “It’s been an adjustment,” Schierholtz said. “I guess you don’t really know what you’re getting into when you first come over here. Not in a bad way at all, it’s been a great experience so far. It’s just a constant game of adjustments. Schierholtz joined the Carp after eight seasons in the majors with the San Francisco Giants, Philadelphia Phillies, Chicago Cubs and Washington Nationals. He has a career .253 average, 52 homers and 228 RBIs in the majors. The bulk of his time was with the Giants, for whom he hit .270 with 23 home runs, 118 RBIs and posted a 3.8 WAR (according to Baseball Reference) across six seasons. Schierholtz was part of the Giants’ 2010 and 2012 World Series-winning teams. Schierholtz says the adjustment off the field has gone smoothly. He and his wife have enjoyed Hiroshima, and the people have been helpful. He’s also been impressed with the zeal NPB fans show during games, where the atmosphere in the stands is much more lively than in the majors. The Carp are hoping Schierholtz becomes even more comfortable in Japan. 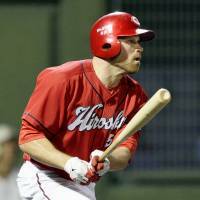 The team, in last place after being favored by many to be in the thick of the Central League race, is counting on him, and slugger Brad Eldred, to help jumpstart a move up the standings. Despite the slow start, Hiroshima is only 4½ games out of first place.